Mohammed Ishtaye was sworn in as the new Palestinian Prime Minister. He along with 24 ministers took the oath of office before President Mahmoud Abbas. It is the 18th Palestinian Government since the establishment of the Palestinian Authority in 1995. Ishtaye and the ministers separately took the oath vowing to respect the law and the Palestinian constitutional system. 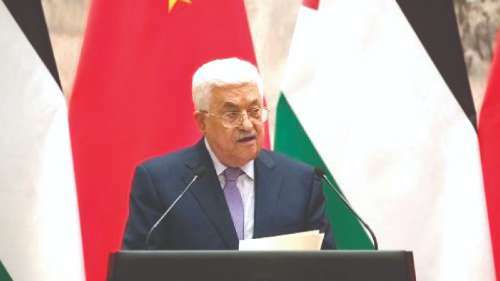 The new government consisting of 24 ministers has representation from Palestine Liberation Organization (PLO), Abbas' Fatah Party, the Palestinian People's Party, the FIDA party, the Palestinian Popular Struggle Front in addition to independent figures. Islamic Hamas movement and Islamic Jihad are excluded from the new government since Hamas has been ruling the Gaza Strip since it violently seized control of the coastal enclave from Abbas' security forces in 2007. The Islamic Hamas movement has slammed the formation of a new Palestinian government is deepening the internal division. Hamas has said that the new government is far from any Palestinian national accord or any legal measure. Criticising the government as further deepening the internal Palestinian division, Hamas has stated that it expects to get representation in the government to strengthen the national unity. Q. Who was sworn in as the new Palestinian Prime Minister?